How well do you relate with strangers or behave in a new environment? Are you the kind that automatically lights up the room or the kind that zones off to your own world? I am the latter. I am currently trying to master the art of small talk. Small talk is that little voice that prompts you to strike a conversation with a stranger across the room. The first word that’s inquisitive to know someone’s name and ends with a whole lot of stuff like what makes them tick, to knowing their best and worst moments and places they have been to. All in the shortest time possible. I am horrible at this. 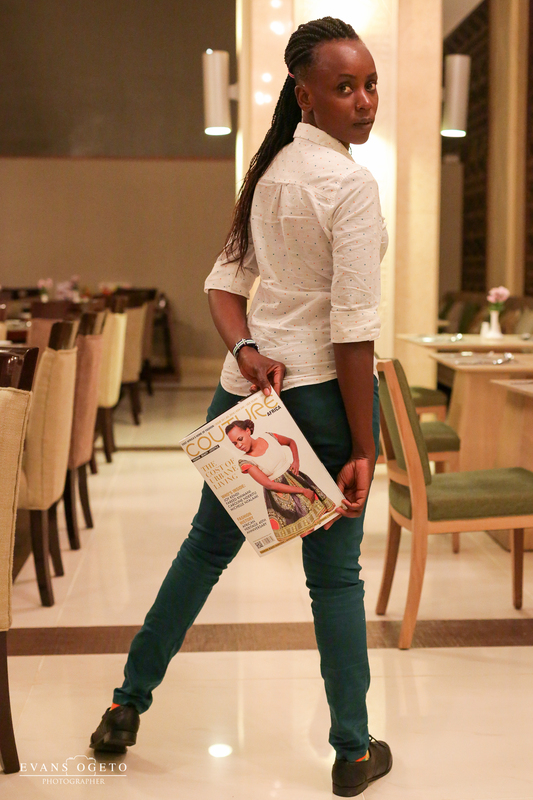 Here I am looking at an invite to the launch of the July Issue of COUTURE Africa dubbed The Business Mixer . Thanks to staying online, the internet is paying me back for the time I spend. I have been lucky more than once and this is just the perfect opportunity to go improve my people skills. Their dress code is perfect: smart casual! This has by far been the best event I have attended in a long while. A welcoming lot of people, who have real smiles, you know those that come straight from the heart. People are talking to each other, no loud music, no speeches and a whole lot of drinking. How did I perform on small talk? Well I talked to two people : Olive Gachara the editor in chief and some lady who had really nice hair, couldn’t resist complimenting her. In between the eating, drinking and being social, there was playing around and appreciating the beauty of the hotel. Really awesome post! I sometimes prefer to melt in the shadows and talk to only those that talk to me. Its strange that when I’m in front of an audience giving a talk, I’m more comfortable than when in a crowd talking among four or five people. Thank you. I know exactly how that feels, this small talk art is no joke. Small talk all the way and many are times I forget to ask the name lol. Wapi plus one yangu thought we were through this…smh. Hi Fay, Yapping does sounds rude. Each time he says that just envision the word ‘sharp tongued’ aka intelligent. I envy you the luxury to be yourself at your work place. For me it’s been a year and no one really knows me so be proud!! My boss says he rarely sees my lips resting on each other coz am either chewing something mostly food or yapping…his words.I wish he used talking instead though.Small talk is a whole different and difficult arena that am pouring myself into too who knows Pato could be shy waiting for me to open up the convo…challenge received. Hahahaha, pick one thing about Pato that intrigues and use that as a starting point..you will thank me later. Okaay!! https://Suitup55.wordpress.com/ signing in the @She’satommboy blog register. First of all, i love the new blog look.Absolutely Beautiful. Then about the small talk; i am the former. LOVE THE LOOK! 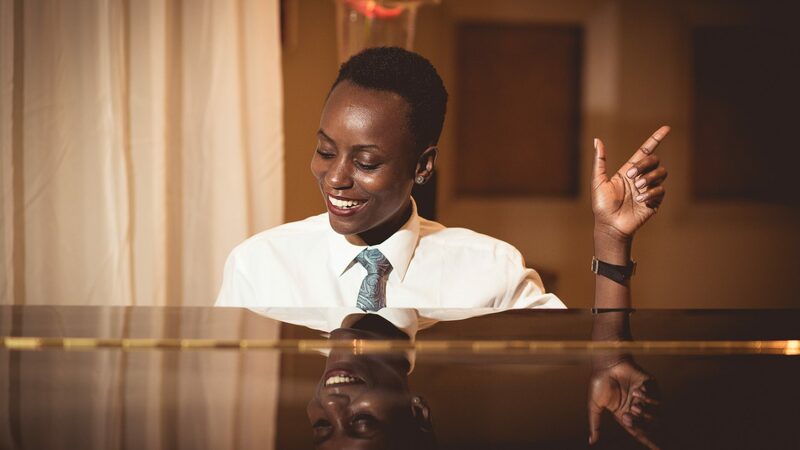 Do feature the Kenyan artiste Fena. She’s a real tomboy w/ an intriguing style (and a crazy love for vans! 😱). Thank you Victor for your suggestion…My team will work on it. am new to this blog and already I like the posts plus the photos. But please check/improve the security of this blog,I did not see the padlock sign when I opened it,my phone was almost denying me entry into it. To me, I am an introvert , to people, I am an extrovert.